When Lister got drunk, he really got drunk! After celebrating his birthday with a Monopoly-board pub crawl around London, he came to in a burger bar on one of Saturns moons, wearing a lady's pink crimplene hat and a pair of yellow fishing waders, with no money and a passport in the name of "Emily Berkenstein". Joining the Space Corps seemed a good idea. Red Dwarf, a clapped out spaceship, was bound for Earth. It never made it, leaving Lister as the last remaining member of the human race, three million light years from Earth, with only a dead man, a senile computer, and a highly evolved cat for company. They begin their journey home. On the way, they'll break the light barrier. They'll meet Einstein, Archimedes, God, and Norman Wisdom...and discover an alternative plane of reality. Chris Barrie really is fantastic voicing this, he somehow can do every characters voice to perfection, complete with comic timing and accents! I hope he voices more books full stop, very talented and compelling to listen to. I'd read this book when I was younger and I'm glad I decided to revisit it in this format! Can't wait to listen to the next book! hilarious, deeper and richer than the tv show. Chris Barrie is an excellent narrator. Does great impressions of Lister and the Cat. Very funny and clever. A more detailed and interesting story than the TV show. 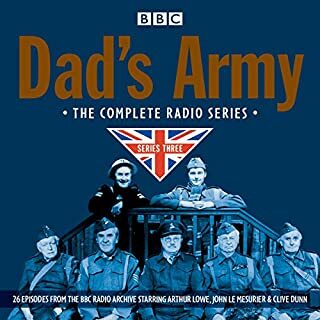 As a long time fan of the TV series, Chris Barrie's narration pulled me in and kept me in. His impressions of the actors playing Lister, Kryten and The Cat was uncanny, effortless and immersive. It's the prequel to the story we know and love told beautifully. Good value for money, this one! 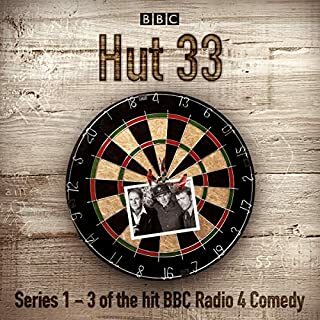 Good funny listen chris barrie's narrating was excellent! Loved the show and never realised there was a book this was a great find! well written, well executed. A top work of fiction suported by a genius narator. Would reccomend to anybody looking for an entertaining book. The book is super funny. I can listen to this again and again. I was giving this book when I was about 15 and read it cover to cover 3 maybe 4 times before I ever even saw the TV show. after having seen the show I re-read the book and it was even better having faces and personalities to go along with the characters. this however made it even better! listening to the journey again being read by Rimmer him self was amazing. looking for the next . I've been wanting to find this book unabridged for years! Chris Barrie is an awesome narrator, and I wish he read more books. The way he can do the voices of all the RD characters is nothing short of amazing! Thank you, Audible, for making this book available. Let's hope that Better than Life is coming soon! In Space No One Can Hear You Smeg!!! 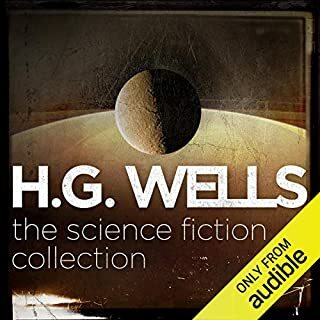 A classic Audio Production that needs more like it in the series to be offered on Audible. Chris Barrie does a spectacular reading and does the impressions of his cast members don to a T.
Narration by Chris Barre Himself who Played Rimmer in the Original BBC TV Show, does an unbelievable job, and despite only him Narrating he does the voices of Holley, Lister, Cat and of Course Rimmer beautifully. 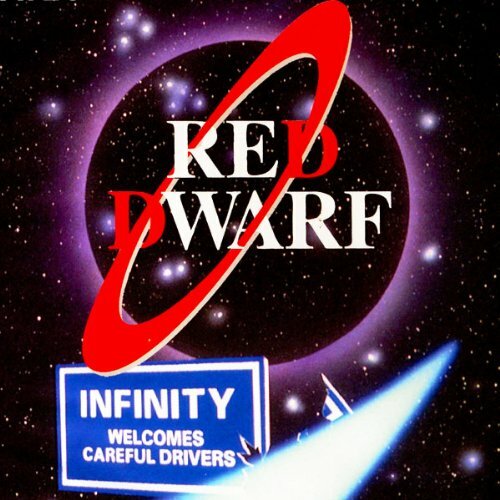 "Red Dwarf" serves as a companion novel to the British science-fiction television series produced by Grant Naylor Productions, by Doug Naylor and Rob Grant. 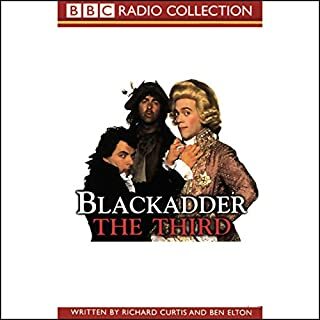 The plot of the book loosely adapts episodes from the first 2 Seasons of the BBC Show, and uses the novel format to explore the characters backstory more than they ever could in the half-hour episodes while expanding existing scenes far beyond the means available to them on the television series' budget and runtime. A great Sci-Fi parody classic. If you liked "Hitchhikers Guide to the Galaxy", "Airplane" the movie, Naked Gun or anything like them you'll probably like this too. If you hate them you'll probably hate this. 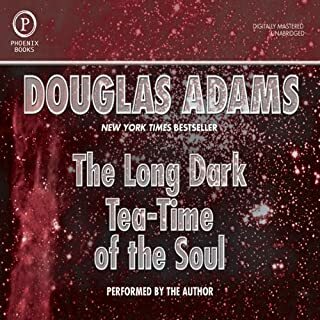 I loved this series, I loved this book when I got it as a kid as one of my first science fiction books from the sci-fi book club in the mail. When I first read it I didn't realize it was parody until I was well into it. This was probably my first exposure to parody sci-fi/fantasy stories and warped me. With Chris Barie's, one of the actors from the TV show based on this book reading it is a real delight since he is very talented at doing different voices for the characters. A must buy for parody and Red Dwarf fans. Lister gets frozen for 3 millions years to save him from a radiation leak on the mining ship Red Dwarf and ends up as the last living human in the universe. 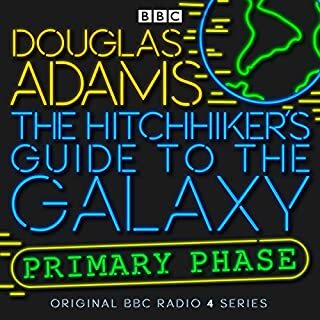 With a creature that evolved from his pet cat and the hologram program of his dead annoying roommate Rimmer and a senile computer of the ship named Holly he decides to turn the ship around and find out what happened to humanity in 3 million years and survive with his sanity intact. 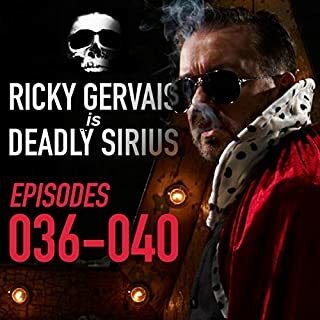 Must Listen for RD Fans! Totally hilarious, just like the show in its glory days. Chris Barrie, Rimmer on the show, is the perfect narrator. Of course he can do Rimmer, but his impressions of Lister, the Cat, Holly and Kryten are spot on as well. This isn't just a novelization tie-in, this is a very enjoyable story in its own right. Do not miss! You'll need to stay on top of audio control. Whenever​ the theme song and introductions come into play. If you are using a pair of headsets or close to the speakers. 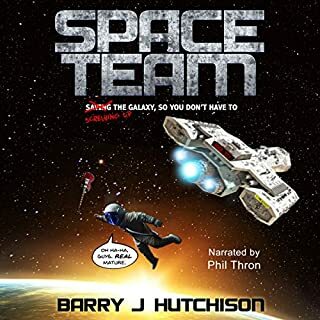 I'm guessing if you were a fan of the old BBC space spoof this book would be awesome. Having not seen it, the book doesn't stand well on its own. Clever plot idea but stretched out too far and the jokes are over done. I found myself fast forwarding to try and get to the end I knew was coming. If you're a fan of the series, it's a great review of things, and has some enjoyable bits to it. 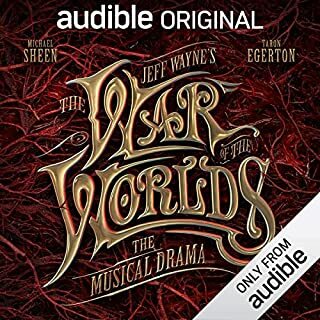 If you're not, there's a lot not to recommend--in particular, the chapters are bookended by an instrumental rendition of the show's theme...done at the end and beginning of the chapter. Yes, this means that you have to listen to it twice, back to back, in order to get to the next bit of the story. Still, if you're a fan, it's worth enduring some rough patches to enjoy the story. My wife and I loved the Red Dwarf television series so this review is very biased. 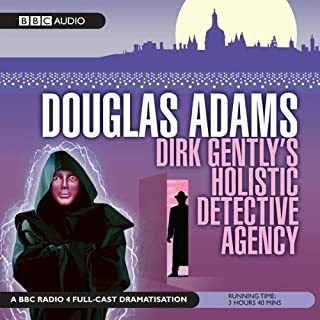 This audiobook's content actually filled in some of the gaps in the storyline of the TV series so I'm not sure how this book will appeal to anyone who is not already familiar with the series. The narrator actually played Rimmer in the series and voices the other characters impeccably like those on TV. The one star is for the book. The narrator gets five. 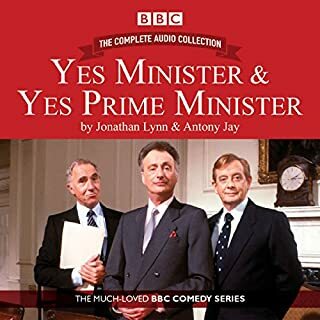 I would only recommend this book to fans of the television show for the sake of hearing the narration by Mr. Barrie, which is the best reading of a fictional work I have heard, in terms of acting skill. He precisely impersonates the other actors he starred with on the BBC program. It is truly impressive. But I found the story to be a disappointment, so I wouldn't recommend this one to those unfamiliar with the show. Chris Barrie narrates this novel with skill and vocal dexterity. His character voices are spot on faithful to the TV series. 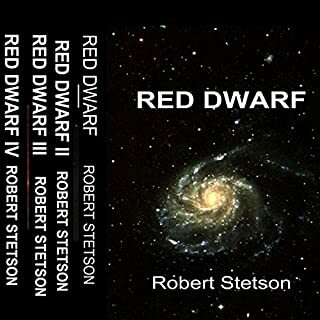 This book has most of the plot lines from the Red Dwarf series but more of the back plots are explained, especially the time before Lister joined the space corp. The material is great and the narration is excellent. Sometimes the book deviates from the characters that were developed on the TV series, but put this to one side and accept that this book was the start of the whole Red Dwarf series and all will be well. A good spend of this months credit! Chris Barrie makes this book his own. His knowledge of the characters and his vocal prowess shines through and really animates the narrative. Obviously his Rimmer is first class but his depictions of Lister, Holly, Cat and Kryten are all spot on. As the previous reviewer noted this book takes some of the plot lines from the TV series and jumbles them up a bit and adds new elements and back story. Whilst this might warp the listeners expectations slightly it in no way lessens the quality of the story. In fact I think it adds to it and delivers a more in-depth exploration of the characters. An absolute must for any Red Dwarf/Sci-fi/Comedy fan. I love it, it's fantastic! Chris does such an excellent job of doing all the voices it's almost creepy. 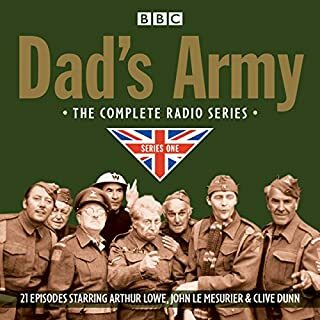 I'm sure it must annoy the rest of the original cast because Chris Barrie could comfortably pull off a one man radio show! Fantastic, but I always did like Red Dwarf. What a great buy this was. It's the story of how Red Dwarf came to be. Chris Barrie has an amazing knack of impersonating the whole team, though Listers scouse was a little too pronounced !. 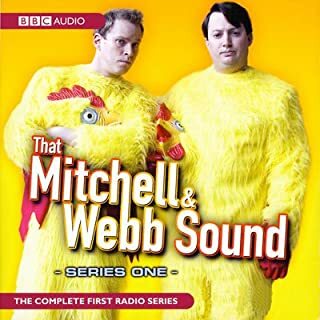 I thoroughly enjoyed this and would recommend to any smeg head !! It's Rimmer doing Red Dwarf, Of course it's great! I finished this today, having not read this book in about a decade. I'm so glad I'd forgotten almost all of it, because hearing it all over again with the voice of Chris Barrie was just wonderful! He gets all the intonations just spot on, except, ironically, for Rimmer, which he has a tendency to over-compensate and make a little high-pitched, to disassociate it from his own voice. However, it's infrequent and doesn't detract from the experience. The story is as good as it ever was, aside from a few misses in the future-tech front (the ships photo development lab for example!) but somehow it adds to the charm of the book, capturing the utter mundanity of life, even hundreds of years from now. And anyway, their comedy writers, not Michio Kaku! The only problem is this was my free download and now I'll actually have to fork out for the sequel!! 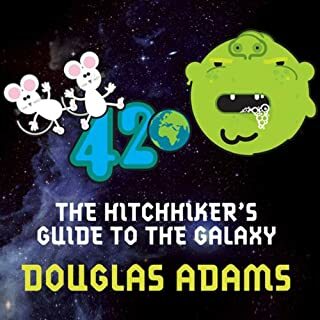 Even if you have never seen the TV series this is a hugely entertaining fun filled scifi book brought fully to life by the excellent characterisations of Chris Barrie's reading. 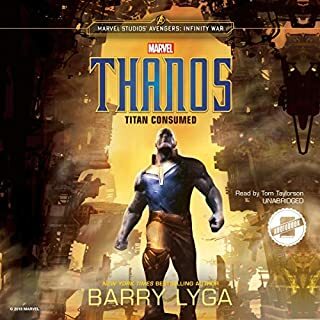 It has everything, non conformist anti hero,supported by a cast of individuals who would not be out of place in a Dickens novel, if he wrote science fiction. Romance, adventure, sacrifice, and pathos in the life of the the last human in the universe. You do not want it to stop, and certainly at the end you will be looking for the sequel.